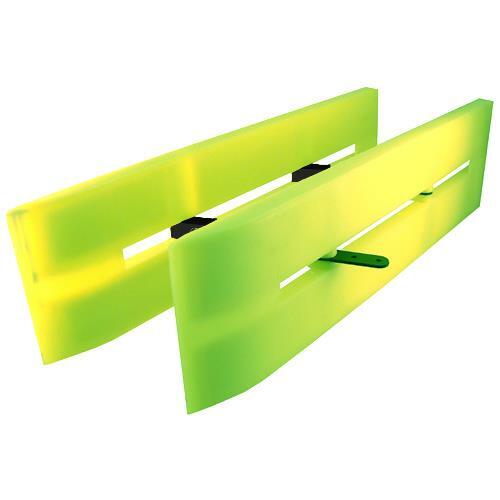 Brand New SEA DEMON Hi-Viz Collapsible Yellow Doubler Planer Board. Can be used on port or starboard side of boat. Board is 8" wide by 28" long. BRIGHT FLOURESCENT YELLOW FOR EASY VIEWING ON THE WATER. GET THEM NOW WHILE THEY LAST! "I've personally fished these boards for Walleye and Steelhead on Lake Erie. They run awesome in the water and they catch fish!" - Tom Fehr - Ohio - avid Walleye, Steelhead and Perch fisherman.